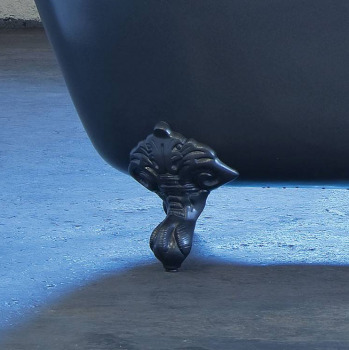 Sink into this deep and luxurious cast iron bath and let your cares float away. 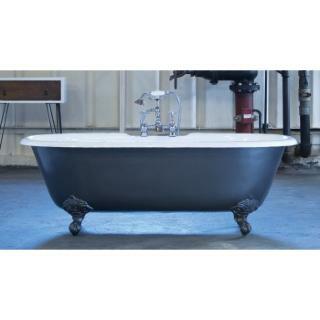 The Moulin is a classic roll top bath and our largest cast iron bath and is perfect for all types of period bathrooms. Exuding luxury and style, its detailed ball and claw feet, gentle contours and deep roll make it a perfect bath for two. 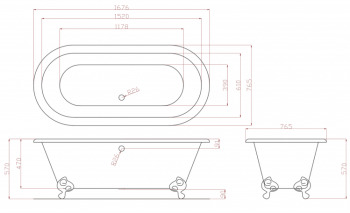 Our Cast Iron Baths Baths can be unique to your individual style, the standard price is painted in white primer, or for a surcharge we can paint the bath for you. Simply provide a RAL colour number or manufacturers name ie Little Greene Portland Stone to match your chosen colour scheme . You have a choice for the feet of chrome, white or painted to match you bath.